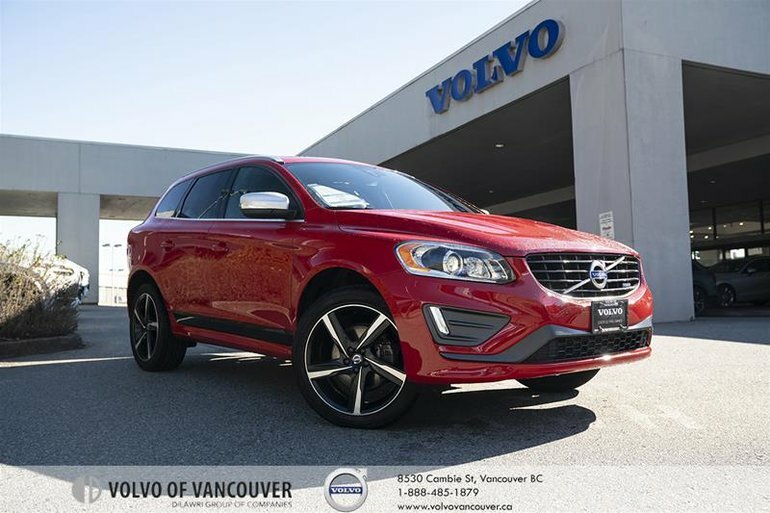 Our Accident-Free 2015 Volvo XC60 T6 AWD R-Design Platinum SUV is proudly displayed in Passion Red! Powered by a Turbo-Charged 3.0 Litre 6 Cylinder that generates 325hp while paired with a responsive 6 Speed Automatic transmission that secures instant traction and natural passing authority. This All Wheel Drive provides near 9.8L/100km in addition to 20-inch alloy wheels that postures this machine to perfection while touring suspension makes for an incredible commute. The elegant silhouette of our XC60 R-Design Platinum is enhanced by front and rear fog-lights and LED running lights. Settle into 8-way power front seats, driver memory functions, premium interior, and a convenient split-folding rear seat that makes the cabin feel tailor-made for you with everything perfectly in place. Enjoy keyless ignition and entry, a panoramic sunroof, dual-zone automatic climate control and listen to your favorite tunes and stay safely connected thanks to Bluetooth phone and audio and a great sound system with a CD player, available satellite radio, HD radio, an auxiliary audio jack and a USB/iPod audio interface. 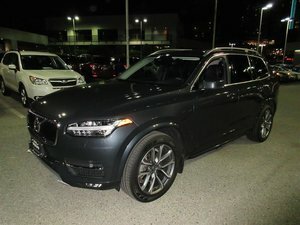 Volvo's reputation for safety holds true with traction/stability control, anti-lock brakes, airbags and Volvo's City Safety system. 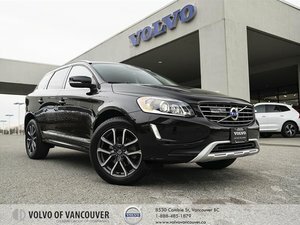 Engineered to fit your lifestyle, our XC60 is a superb blend of comfort, efficiency, practicality and bold style. Get behind the wheel of this R-Design Platinum today! Print this page and call us Now... We Know You Will Enjoy Your Test Drive Towards Ownership! Our advertised price includes a $495 Documentation Fee. No additional fees or surprises when you are ready to purchase. 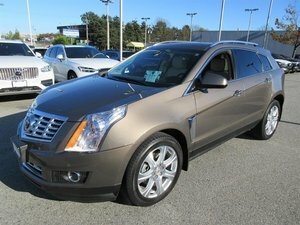 We offer financing options for most of our quality Pre-Owned Vehicles. Interested in the 2015 Volvo XC60 T6 R-Design AWD A Platinum (2) ?